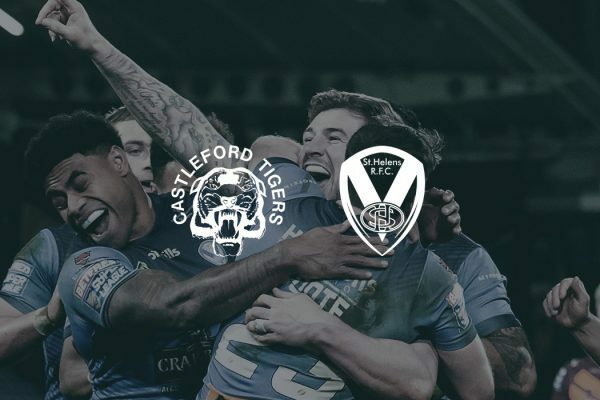 Castleford Tigers v Saints - 22/03/19 | St.Helens R.F.C. 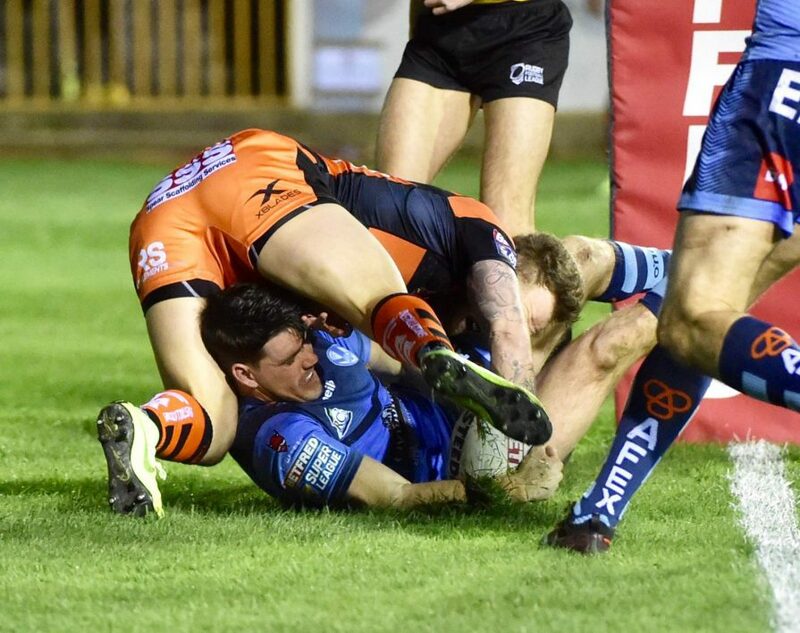 Saints made it seven wins from seven after a faultless display which will live long in the memory after a 42-12 win over Castleford Tigers at the Mend-A-Hose-Jungle on Friday evening. 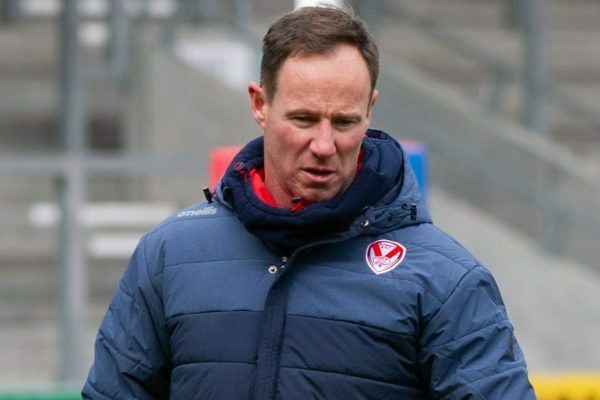 Saints started the game in a explosive fashion and after just six minutes were rewarded when a short ball from James Roby found Lachlan Coote who crashed over from close range. Coote added the conversion to his own try to give Saints a 6-0 lead. 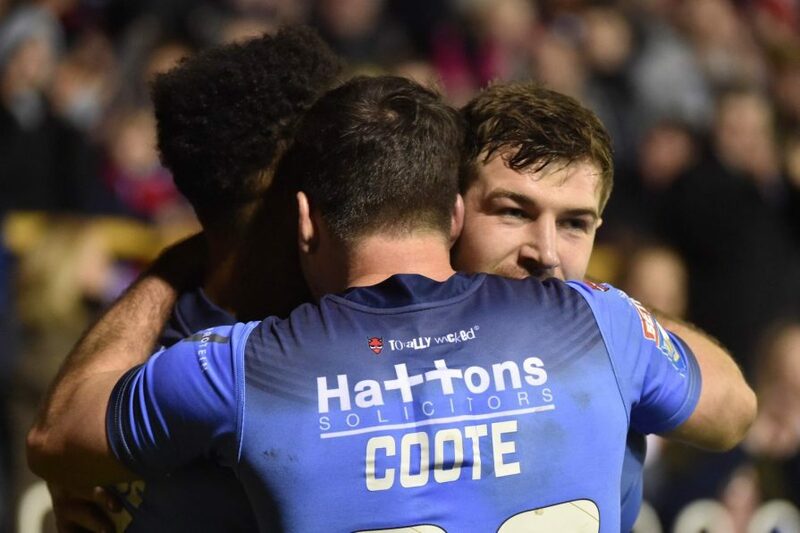 Coote then kicked a penalty after Morgan Knowles was tackled high 10 metres out. 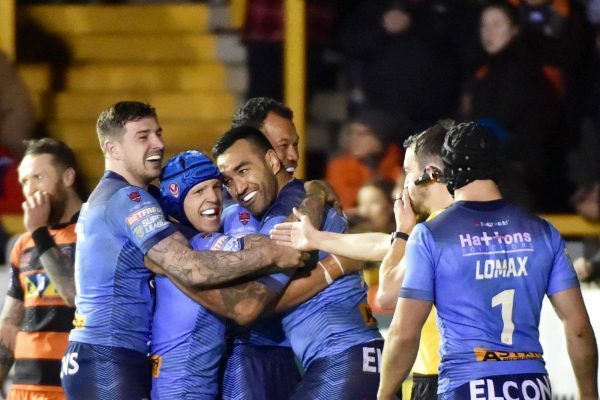 Castleford came right back at Saints, but as it has all season long, Saints defence stood firm to keep the Tigers out. The hard work in defence was rewarded as Saints extended the lead. A neat kick through from Theo Fages was knocked on by Greg Eden putting Saints in prime position. From the resulting scrum Coote who found Mark Percival who fed Regan Grace to score in spectacular fashion in the corner. Minutes before the break and Saints were in again. Fages with the short ball to Dom Peyroux and he shot through a gap in the defensive line to give Saints an 18-0 lead going into half time. Coote adding the extras. Saints started the second as they did the first and within the opening minutes we were over again. After great handling from Lomax and Fages, Zeb Taia was put through the gap to extend our lead to 24. 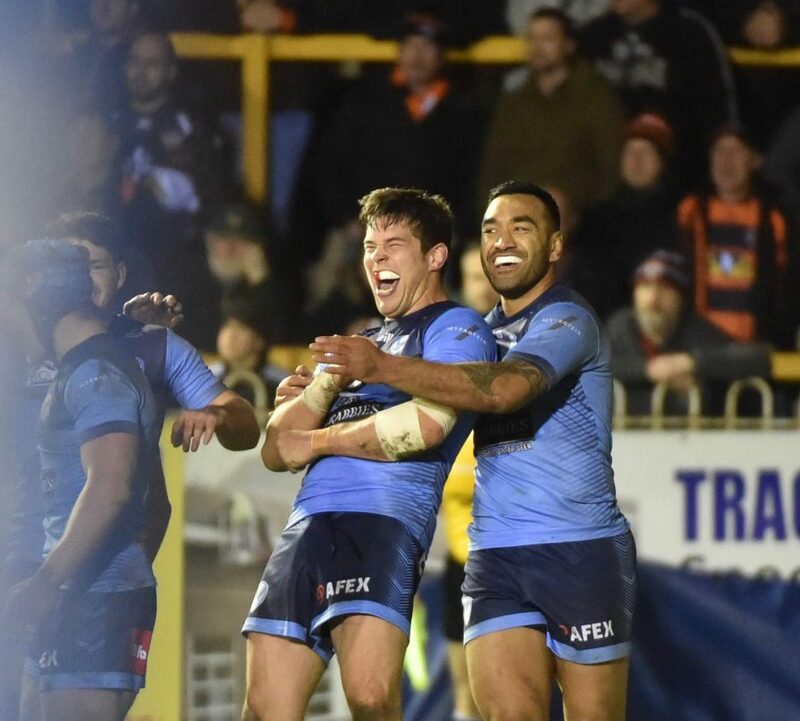 The pressure didn’t stop there as we then scored three tries inside 10 minutes. LMS and Percival crashing over from close range making it 34-0 after with still well over 20 minutes remaining. 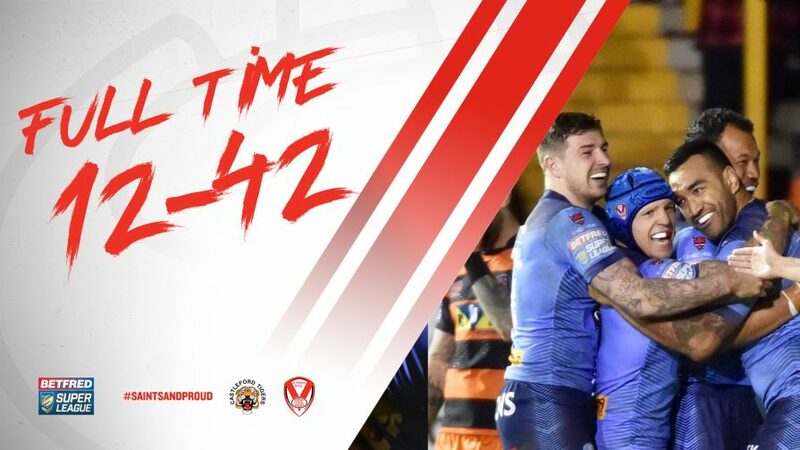 Castleford finally did get some joy on the hour mark when it looked as if Lomax was about to score at one end, former Saint Michael Shenton picked his pocket with an interception on his own line and ran the length of the field to score under the posts. 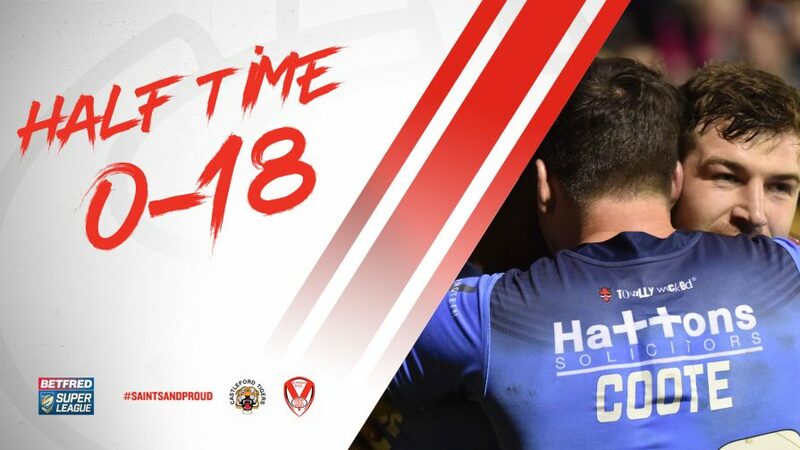 Saints hit back almost instantly after Peyroux latched onto a short pass from Roby to go over for his second of the game before Lomax added the icing on the cake. An excellent team try saw the ball swing from right to left and Percival was put in the clear to run 40 meters. He passed the ball back on the inside to the on-rushing Lomax who went under the posts bringing up the 40 point mark. Coote added the extras. The Tigers did go over for a final consolation with the last play of the game through through Trueman, but this one was a game which will live long in the memory for the travelling Saints contingent. Tigers: Peter Mata’utia, Greg Minikin, Alex Foster, Michael Shenton, Greg Eden, Jake Trueman, Jordan Rankin, Liam Watts, Paul McShane, Grant Millington, Oliver Holmes, Junior Holmes, Nathan Massey. Interchanges: James Clare, Adam Milner, Jesse Sene-Lefao, Matt Cook. Tries: Coote, Grace, Peyroux (2), Taia, LMS, Percival, Lomax. Goals: Coote (4 from 9). What a result, what a performance! Tries from Coote, Grace, a double from Peyroux, Taia, LMS, Percival and Lomax tamed the Tigers here at the jungle. Get in! Rankin kicks the extras as the hooter goes! Cas get a late consolation through Trueman, breaking through three defenders to score. Seconds later and this time Fages is over, but James Child’s deems Thompson’s pass to be forward and Cas survive. Can we please draw breath lads? 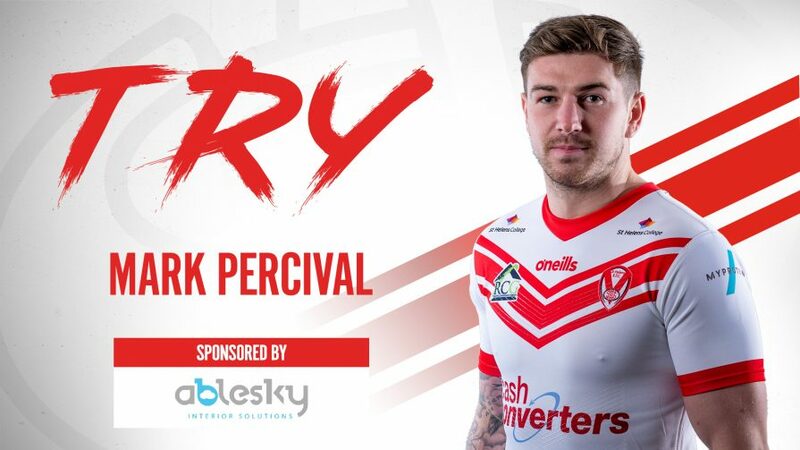 Jonny gets in on the act as Percival breaks through the Tigers line and feeds the supporting Lomax who easily scores under the sticks! This is some statement! Heading onto the final 10 minutes here at the Jungle and it has been one hell of a performance from the Red Vee tonight! Coote misses the conversion attempt, but the Saints fans don’t mind! Dom puts the icing on the cake as the video referee awards the try after he latches on to a short ball from Robes to score. Get in! Great Saints defence force the Tigers into touch and the fans behind the sticks roar in appreciation. They have loved their day out today! 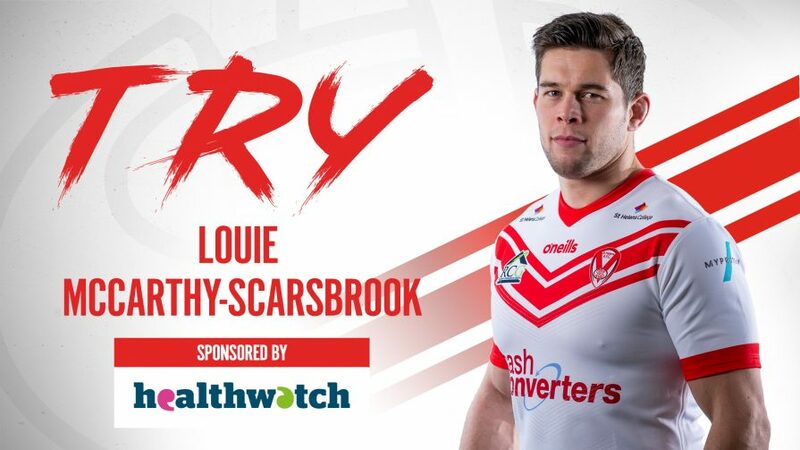 Lomax now breaks through and looks like he is about to score, only for Shenton to intercept and run the length of the field to score, despite Grace’s attempt to stop him. Saints fans join the Cas fans in cheering that one! Coote misses the kick, but this one is as good as over! WOW! We are in again on the left this time as Percy flies over after a lovely dummy! This is wonderful rugby league! Coote’s kick then unfortunately strikes the post, but we are now well in control! Fages finds LMS and he crashes through Massey on the left to score! Get in! Both teams have exchanged sets with Naiqama wrapped up on the Cas line and from the resulting first Tigers play, McShane knocks on. The video referee has chalked off Joseph Paulo’s try as he has adjudged to knocked on, but Saints get the ball back following the first knock on! Coooooote kicks the extras brilliantly from the left! And we make it count! The ball is switched from right to left and Lomax’s short pass is grasped by Zeb Taia who scores easily. Just the start to the second half we wanted! 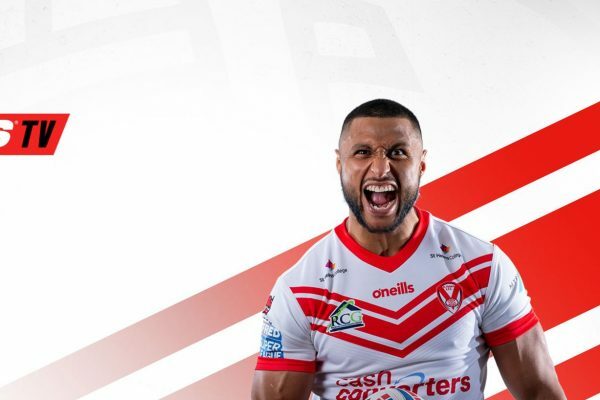 A high kick from Coooooote is caught out wide by Eden, but Tommy Makinson does brilliantly to force him into touch and Saints have the ball 10 metres out! We are back under way here at the Mend-A-Hose Jungle. Come on boys! 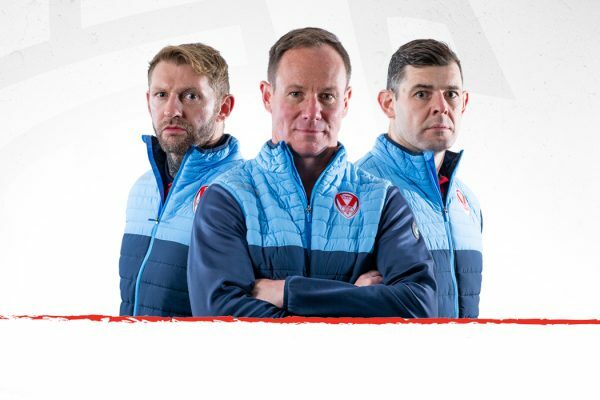 A cracking first half for Saints and for the advert of rugby league as a whole. Tries from Coote, Grace and Peyroux was added to by a penalty from our full back! So far, so good! Cas come again though and McShane kicks a delicate ball through which Roby kicks dead and that should be the half-time hooter. Phew! Our defence holds firm again and we have the ball back after Kevin Naiqama pounces on the loose ball! The Tigers have a chance to get one back here though as the ref wipes the tackle count clean and Cas have a set of six 20 metres out. The Saints crowd behind the sticks will tell you Coooooooote has kicked the two and we have a healthy lead! Dom makes our pressure count as he grabs his second try in two games as he powers over to the right of the sticks. Get in! Lees is involved straight away as he intercepts a Tigers pass and is denied just short of the line. The Saints trio who made that second try! The Tigers have a chance to grab a try back as Eden broke through the Saints line, but Thompson does well to bring him down and we have the ball back. That’s Thommo’s last action for now as he is replaced by Matty Lees. LMS is on for Big Al as we come again! 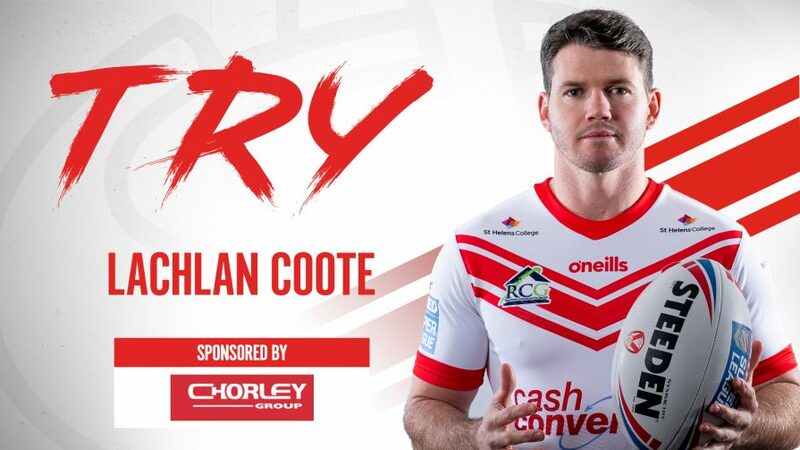 Coote misses the tough touchline conversion. From the resulting play, Lomax found Coote who passed out wide to Percival and he put Regan in for the flying finish in the corner. What a try! 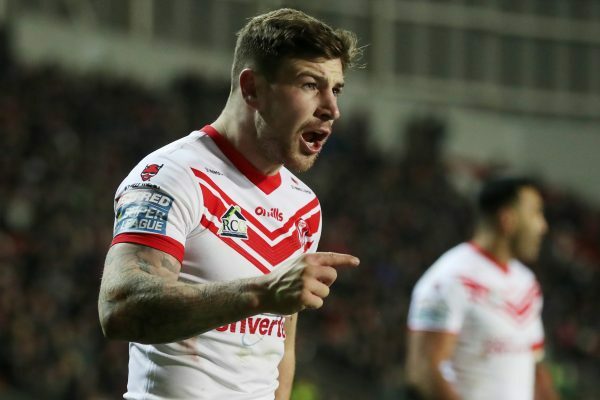 Saints have another chance here as Eden knocks on following Fages delicate kick though. 10 metres out! Saints win the penalty now as Coote is pushed in the back on his own line. It’s end to end here at the Jungle! Saints are penalised for obstruction and the Tigers will this time come forward. Big Al is held up on the line and we go again with the tackle count at two. It looks like Nathan Massey is hurt in the rumble with our no.8! Cooooooote easily adds the two. Both sides have exchanged sets here as the Tigers look to get back into the game before a Tigers offload is caught by Roby who pounced on half-way and we have another chance here to double our lead. 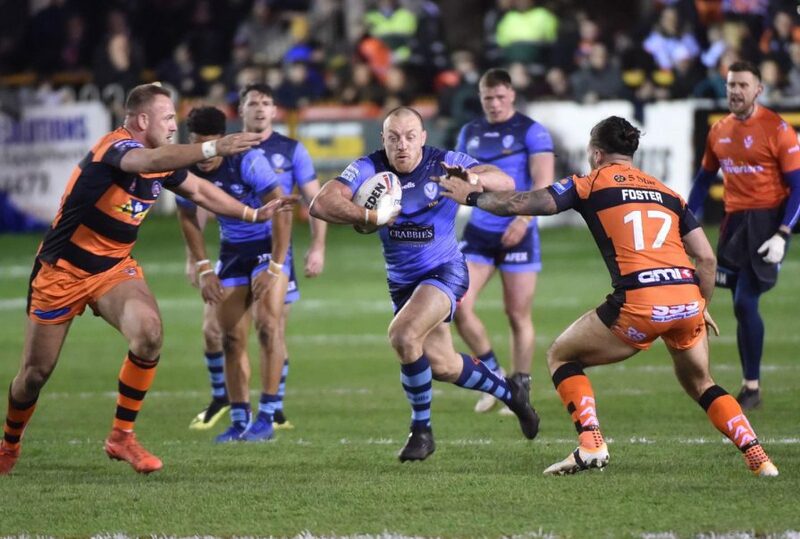 Jonny Lomax breaks through the line and looks for support, but the Tigers do well to get back and force a turn over of their own after Regan Grace is tackled on the last right on the Cas line. A frantic start to this one here at the Jungle! Great defence from Saints who force the turn over and we are back on the attack! The Tigers have a chance to instantly respond mind as they have forced a drop out from the kick off. Hold firm, boys! Cooooooote makes no mistake and adds the two. YES WE CAN! Super James Roby offloads to Cooooooooote and he barges he way over to the right of the sticks. The travelling Saints fans sing his name and we lead early here. Get in! Saints win a penalty and have the ball in the Tigers half, can we make it count? 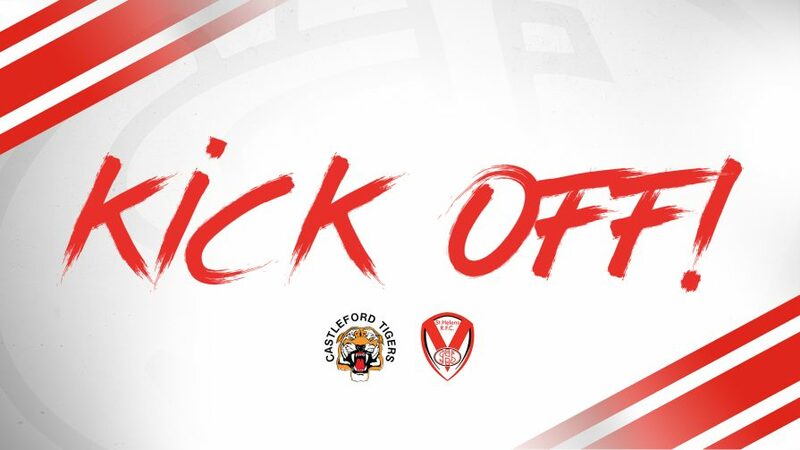 Saints have started well as Luke Thompson drives through the Cas line after a couple of lovely offloads from Theo Fages and Lachlan Coote, but Thommo lost the ball in the tackle.